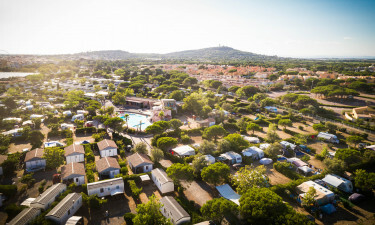 Nestled in the beautiful seaside resort of Cap d'Agde, camping La Clape offers a tranquil beach-side experience for families and couples looking to soak in the coastal sunshine. Breathe in the Mediterranean with excursions and walks around this beautiful region. Back at base, this luxury camping site provides entertainment and activities galore with fun for all ages. This mobile home and camping site has a festive atmosphere which will brighten your camping holiday with Luxcamp through activities and facilities aimed to make your holiday relaxing. From on-site food through activities for all ages, there's always something to do at La Clape. 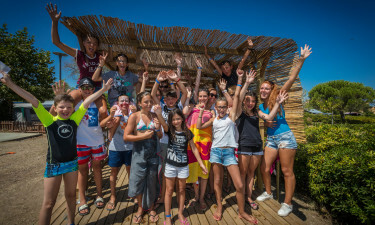 Children’s club, playground and games area. Multi-sports ground for games and tournaments. Well-provisioned bakery, shop, bar and restaurant. An outdoor pool is perfect for cooling off in the sunshine, with a shallow wading area for little ones and whirlpools for ultimate relaxation. The pool is fitted with a solarium for sunbathing, with daily morning aerobics. Located right on the Mediterranean coast in Hérault, La Clape offers sandy beaches, coastal excursions, scuba-diving and water sports. Located right by the sea, there is direct access to the beach, with the river l'Hérault also visitable.